The manipulation of databases is an integral part of a world which is becoming increasingly and pervasively information-focused. 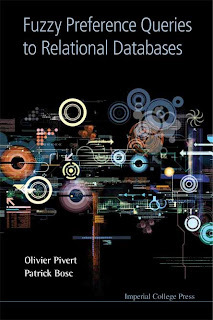 This book puts forward a suggestion to advocate preference queries and fuzzy sets as a central concern in database queries and offers an important contribution to the design of intelligent information systems... It provides a comprehensive study on fuzzy preference queries in the context of relational databases. Preference queries, a recent hot topic in database research, provide a basis for rank-ordering the items retrieved, which is especially valuable for large sets of answers.